The Villager - Final Round! Name: The Villager - Final Round! Online registrations have closed, however we are able to accept walk-in registrations! We invite ALL members and non-members to join us for our facilitated networking event. 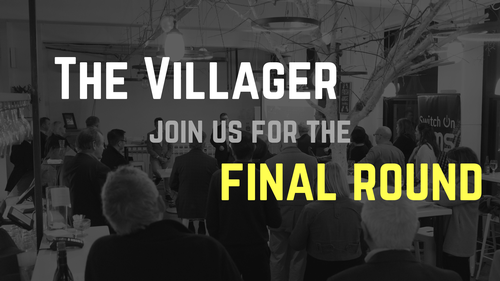 In this event, you will be welcomed to The Village and participate in an activity that will get you up and talking to other like-minded business people. This Villager will also include new and exciting insight into what is coming up in the Tron and the Chamber for the end of year and early 2019 period. Our guest speakers are Bronwyn Bent and Sally Barnett, Co-Directors of Hamilton Gardens Arts Festival. In a city of only 150 thousand people, the reality is, doing business here relies as much on who you know as what you know. If you are looking to expand your networks, meet others in a facilitated welcoming environment, and find out more about the Waikato Chamber of Commerce can help you, this event is for you. Bronwyn Bent and Sally Barnett were brought on as co-directors of HGAF in mid 2017. They specialise in community arts engagement projects, producing, programming and event management. Each have over 15 years experience in the arts, hospitality and event management fields, including significant outdoor, site specific, and festival programming expertise. They have programmed and produced events for independent theatre companies, national organisations and large venues and festivals. Bronwyn and Sally are passionate about bringing HGAF to existing and new audiences, to presenting amazing artists from the Waikato and further afield, and to working with the Festival Board to develop the festival into the future. Nibbles provided and a cash bar will be operating.